Ask fellow campers about "Goldcoaster RV Resort" and nearby attractions. We stayed 4 nights. Paid $75/night. Recommend un-hooking tow car in front of office. Recommend sites that are 3-5 sites away from trash/maintenance area (such as 113-115, 118-120, 355-357, 544-547 ... although a couple of those might be particularly attractive if you are towing a trailer because they're big corner lots providing good maneuverability and space). Our site was a back-in super large grassy area - no concrete patio, no picnic table and no fire pit. The parking space for our tow vehicle was asphalt. Amazingly no bug or mosquito issues. Telephone reservation process and check-in were easy and efficient (although I wish Sun would allow online reservations). Staff was friendly. We received an info packet at check-in including a map and calendar of activities. We were given green rubber wristbands to wear when using the pool or spa. All hook-ups worked perfectly. We had open sky with excellent DirecTV, Verizon cell and Sprint Wifi signals. We could not obtain park wifi at our site. The office said you can only get their wifi at the clubhouse. Neighbors were pleasant but kept to themselves. The park was clean and well-landscaped. The trash receptacle for RVer's is in the back of the park meaning you have to drive your trash to the trash area. There are a few "junky" mobile homes but most appeared to be neat and well-maintained. Some post-Irma repairs are still underway. The area outside of the park is dicey so we were glad they had a staffed guard gate. Inside the park we felt fairly safe although we were warned of petty theft (i.e. bicycles being stolen). No doubt the fencing around the CG could be easily jumped. We did not have any problems but it did make us uneasy. I definitely wouldn't suggest a single female go walking outside alone day or night. We'd stay here again if necessary but it wouldn't be our first choice. It's hard to find availability in the Miami area this time of year. We camped at Goldcoaster RV Resort in a Motorhome. Don't miss Knaus Berry Farm! Seriously. They have the BEST cinnamon rolls EVER!! They are known for their strawberry shake which is delicious. Lots of conveniences within 5 miles but be vigilant and exercise caution day or night. Shipwrecks in Key Largo is casual and affordable. Their peel and eat shrimp is the best I've had anywhere. Manager extremely rude. Campsites awful. Service terrible. Wouldn't stay again for free. Pool unusable. No paper or soap in restrooms. 95% trailer park. Staff doesn't care about transient campers We camped at Goldcoaster RV Resort in a Motorhome. .10 mph speed NOT observed. I have little kids & constantly feared the speeders would hit them. One full time resident was mad that we were driving 10 mph and blew by us. So unsafe. Pool was closed, condemed by health dept. This was our vacation so if we had of known the pool was closed we would not have booked here. Also, we were put in between mobile homes. 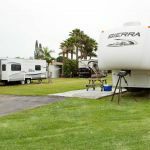 95 percent of RV resort is NOT an RV park, it is full time trailer park. We would have preferred to be amongst fellow travelers who were camping like us. They should of had a camping only section. Or site was huge, the playground was okay, Staff was nice and security guards fine but we will not return here because of speeders and pool closing. We camped at Goldcoaster RV Resort in a Travel Trailer. Close to Everglades and the Keys as well. All roads in park were confusing with multiple ones with same name but different endings, lane, road, ave. The park is really a mobile home park with a few spaces scattered around for an RV. Over the air television is good. No WiFi reception at my space 114. There is good WiFi at the Clubhouse. Clubhouse and bathrooms are immaculate. There is a guarded security entrance 24 hours a day. Felt very safe. Park is kept up, very well. There is a very large clean swimming pool available, but when I was there it was closed for maintenance. We camped at Goldcoaster RV Resort in a Motorhome. Ask for a site closer to the Clubhouse, if free Wifi is your requirement. This really isn't a RV park, it isn't a campground either. It's a manufactured home park with about 2 dozen of its 500 sites set aside for RV parking. If you are looking for 55+ this is not for you as there are many kids living here. The streets here are very confusing as they all have the same name - SW188th, then an extension like Dr or Way or Ave, but these are difficult to read and the numbers on the RV sites are very hard to find. Wifi only works by the clubhouse. There's a pool, hot tub, shuffleboard and some planned activities. For the most part, things are kept up neat and clean. The roads are narrow and we had some problem with backing into our grass site with ancient utilities, a broken concrete pad with old picnic table and separate paved parking spot for the car. The residents were friendly and invited us to join them in activities. They also warned us that one must be careful about theft. 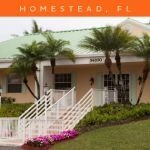 The location is great close to 3 National Parks Biscayne, Big Cypress and Everglades and the Keys. We camped at Goldcoaster RV Resort in a Motorhome. Sewer connection on site higher then RV sewer hose. No effort to make us feel welcome. Surrounded by permanent mobile homes. Surrounding neighborhood unsafe. RV has had recent break ins. Best feature was location between two fantastic National Parks. We camped at Goldcoaster RV Resort in a Travel Trailer. Don't stay here is our tip. When I made reservations two months ago they put us in a park in California which I didn't discover until the night before we were to arrive at Goldcoaster. We were very lucky they had one space available. While we were checking in they discovered they'd just given someone else a reservation for our site so they had to call them back to cancel. This is a mobile home park and, unlike some other reviewers, we didn't think it was in such good shape. There were an assortment of nice homes, some with beautiful yards, but we did not consider all the places with holes in underpinning, dirty exteriors, deteriorated steps and junk-cluttered yards and porches to qualify as well-maintained. Our site (#234) was the least-desirable of the RV sites we saw.....no picnic table, no patio, narrower than any other and with a really bad surface which had a 12'x25' pad of sod stuck on top in the middle. The sod was lumpy and had dips which made walking hazardous. There was dog poop left in our site on several occasions. Neighbor on one side was friendly. The laundry was good but had no place to hang anything and the dryers were extremely hot. The lady in the office was very nice and did give us a 10% discount because our check-in was so messed up. We would stay again because the other two RV parks we saw in the area were appalling. Homestead and Florida City are rundown, trashy and did not look safe, but the park is convenient to the Keys and both the national parks and is much more affordable than any Keys' facility. The park is fenced and has a 24-hour gate guard so we felt comfortable. Wifi is free but available only at the office. It's an acceptable place to stay but don't expect a resort. We camped at Goldcoaster RV Resort in a Fifth Wheel. We stayed 6 nights and got the Passport America rate (50% off) for all 6 nights. Recommend un-hooking tow car in front of office. Recommend sites that are at least 3-5 sites away from trash/maintenance area (such as 113-115, 118-120, 355-357, 544-547). Our site was a large grassy area - no concrete patio, no picnic table and no fire pit. The parking space for our tow vehicle was asphalt. Reservations and check-in were easy and efficient. Staff was friendly. We received an info packet at check-in including a map and calendar of activities. We were given green rubber wristbands to wear when using the pool. All hook-ups worked perfectly. We had open sky with excellent DirecTV, Verizon cell and Sprint Wifi signals. We could not obtain park wifi at our site. The office said you can only get their wifi at the clubhouse. Neighbors were pleasant enough but not overly friendly. There was some litter and dog poop here and there but the park was generally clean and well-landscaped. The only trash receptacle is in the back of the park. Unless you're next to it (see my site tip below), it means you have to drive your trash to the trash area. We didn't see any "junky" mobile homes. Most appeared to be very neat and well-maintained. The area outside of the park looked a little rough so we were glad they had a staffed guard gate. Inside the park we felt safe. We heard talk of petty theft at the park (i.e. bicycles being stolen) but we did not have any problems. We'd stay here again if necessary but it wouldn't be our first choice. It's hard to find availability in the Miami area this time of year. We wouldn't be thrilled to pay full price. We camped at Goldcoaster RV Resort in a Motorhome. You MUST go to Knaus Berry Farm. They have THE BEST fresh strawberries and cinnamon rolls. Oh My!! Highly recommend Biscayne Natl Park. Be sure to call ahead to reserve the boat tour. It's wonderful and fills up. Miami day trips are very do-able but know that Miami-area traffic is hideous. Allow lots of time especially going South. We took the Miami Seaplane tour and loved it. Can get 10% off if sign up at Viator.com. Way over priced. Some RV sites mixed into neighborhood. Office and recreation hall inaccessible. No WI-FI. Can not use pool unless you are staying a week and then need to get wrist band. My dog was terrified with all the fireworks going of till 3 AM. We camped at Goldcoaster RV Resort in a Motorhome. 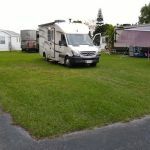 Very large nice mobile home park with intermittent RV sites. Mile off Hwy 1. Paved roads with long level back-in grass sites with patios. OK for big rigs. Need to be self contained as no restrooms or showers. 24 hr security gate. No trees, good satellite, TV and cell signals, cable tv and free protected wi-fi. Large rec center and pool for residents. Park clean well maintained and staff helpful. Will stay there again. We camped at Goldcoaster RV Resort in a Fifth Wheel. This is a mobile home park with rv sites sprinkled in between the permanent homes. However, the mobile homes are well maintained with beautiful yards. The spaces are all back-ins with a lot of room. Each site has a concrete patio and picnic table. The park is gated with a security guard at all times. Utilities were good. However, the first site we were assigned to had no power to the pole. They moved us to another site. There is a cable cord which we asked about. The office told us all we needed to do is to hook it up. The cable did not work. This is a Passport America park that allows you to stay 6 days at this rate. 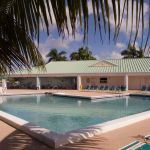 This is a great place to stay to visit the Everglade, Biscayne, and the Keys. We camped at Goldcoaster RV Resort in a Motorhome. We stayed here for one week while touring the Everglades and Keys. All residents we met were friendly and welcoming, especially at the non-denominational service held in the club house on Sunday morning. Utilities worked well and were well placed on our site. We felt safe walking around the park even at night. We camped at Goldcoaster RV Resort in a Motorhome. Staging our descent to the Keys, finding a spot south of Miami was difficult in January but Goldcoasters seemed to have several free spots. The empty sites are situated between what seem to be long-term residents (some in semi-fixed mobile homes). The residents we encountered were nice, as was the front office. The paved streets were narrow but passable, and the entire park was very neat and clean. The site was grass (quite healthy) which drained well -- a torrential rainfall in the night showed very little standing water the next morning. Hookups were good, but no cable and no WiFi (Verizon/Karma reception was fine), no picnic table, fire pit or grill. If there were common facilities, we never saw them, but we were only there for one night. No discounts in January, so we paid $66. This was an satisfactory spot for an overnighter but (for us) not the kind of place at which I'd want to spend a long time. We camped at Goldcoaster RV Resort in a Motorhome. Definitely a mobile home park with some spaces for a RV. Spaces are great in size and people who are residents quite friendly along with the staff. We did un-hitch by the front office as all sites are back in and roads could be narrow. There is no cable and no wifi but we had our own so no problem. There is lots of shopping close by, outlet malls, etc. We toured Miami and all the beach cities one day and Key West on another so this is a great spot being centrally located. Posted rate is 50 dollars, which we felt would be quite high for this park in our opinion. Passport America is 50% off so a bargain. The park is pet friendly, and is a gated community. We would stay here again. We camped at Goldcoaster RV Resort in a Motorhome. This is near the south end of the Everglades. Great place if you are looking to go to that part of the park. Are you affiliated with Goldcoaster RV Resort ?